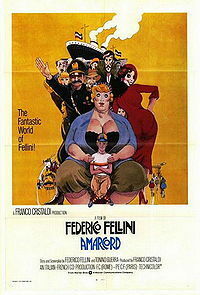 Amarcord (1973), directed by Federico Fellini, is a semi-autobiographical bildungsroman (coming-of-age tale) that combines poignancy with bawdy comedy. It tells the story of a wild cast of characters inhabiting the fictional Borgo based on Fellini’s hometown of Rimini in 1930s Fascist Italy. Amarcord (a m'arcòrd) is Romagnolo for "I remember". Titta's sentimental education is emblematic of Italy's "lapse of conscience". 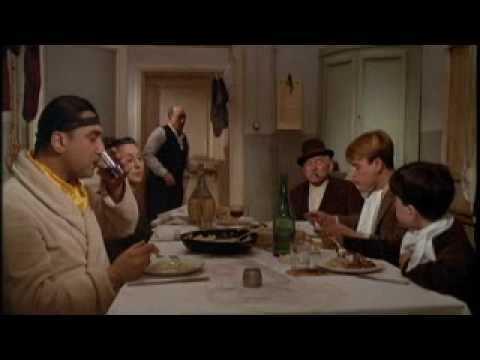 Fellini skewers Mussolini's ludicrous posturings and those of a Catholic Church that "imprisoned Italians in a perpetual adolescence" by mocking himself and his fellow villagers in comic scenes that underline their incapacity to adopt genuine moral responsibility or outgrow foolish sexual fantasies. 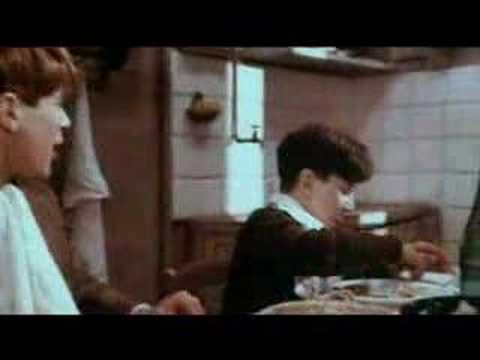 The film won the Academy Award for Best Foreign Language Film, and was nominated for Academy Award for Best Director and Academy Award for Best Writing - Original Screenplay.